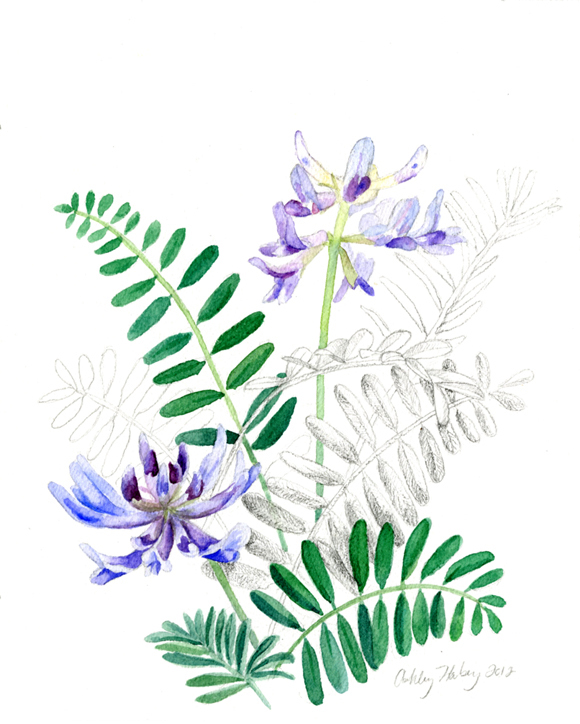 Pyne’s Ground Plum (Astragalus bibullatus) is a beautiful species of flowering plant which is endemic to the cedar glades of Middle Tennessee, near the rapidly growing city of Murfreesboro. These glades occur on rocky limestone outcrops with exposed bedrock or very shallow soil, where trees are largely unable to grow. Pyne’s ground plum grows along the deeper soiled glade margins or in partially-shaded areas (2). The flowers turn to reddish orange fruit (that resembles a plum) in late May through early June. Classified as Endangered on the IUCN Red List of Threatened Plants 1997 (3) and listed as Endangered on the U.S. Endangered Species Act 1967 (4), the plant is most definitely at risk. Primary threats to this wildflower are generally residential or commercial development, as well as livestock grazing and more competitive vegetation(5). Attempts have been made to establish a new population at Stones River National Battlefield, TN, and there are high hopes that the new population will be self-sustaining (6).